Forms for leads, proposals or questionnaires, email campaigns, digital contracts, scheduling and reports. Create contracts that auto-populate names, contact info, pre-purchased products/packages, venues and dates. Save contracts as templates for re-use. Easily email contracts to all parties. Users can sign using a mouse or their finger on a mobile device. All parties are notified via email when a signature is received. Contracts are digitally finger printed so they cannot be altered. Generate leads, create questionnaires and/or accept session fees, deposit payments or pre-orders for future events. 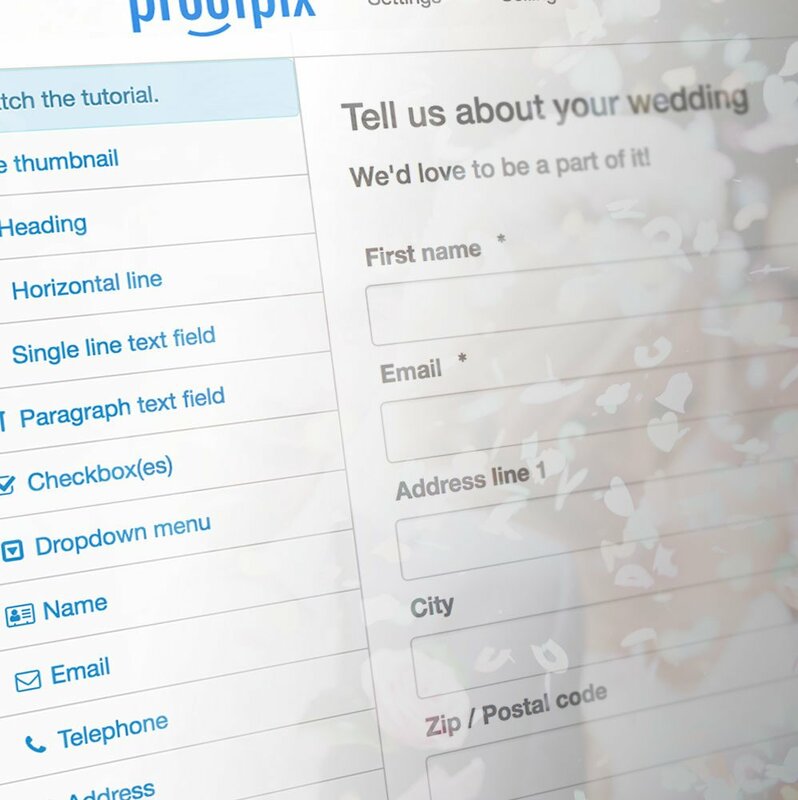 It's simple to create powerful forms that can do all this and more. 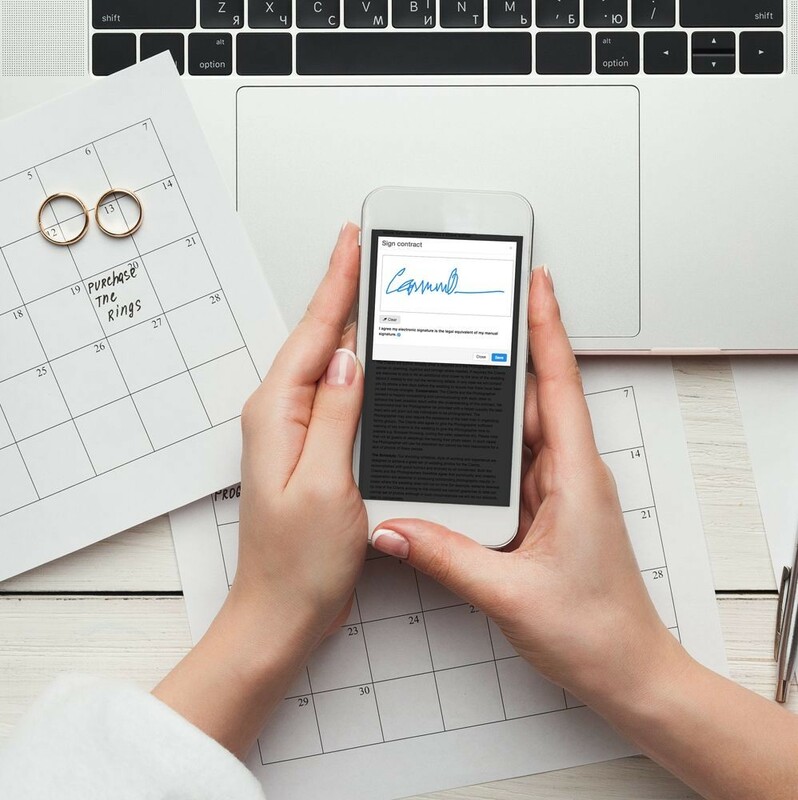 Create a scheduler in any custom form, embed it on any site, and allow your clients to book future sessions or book time slots for an up-coming event. 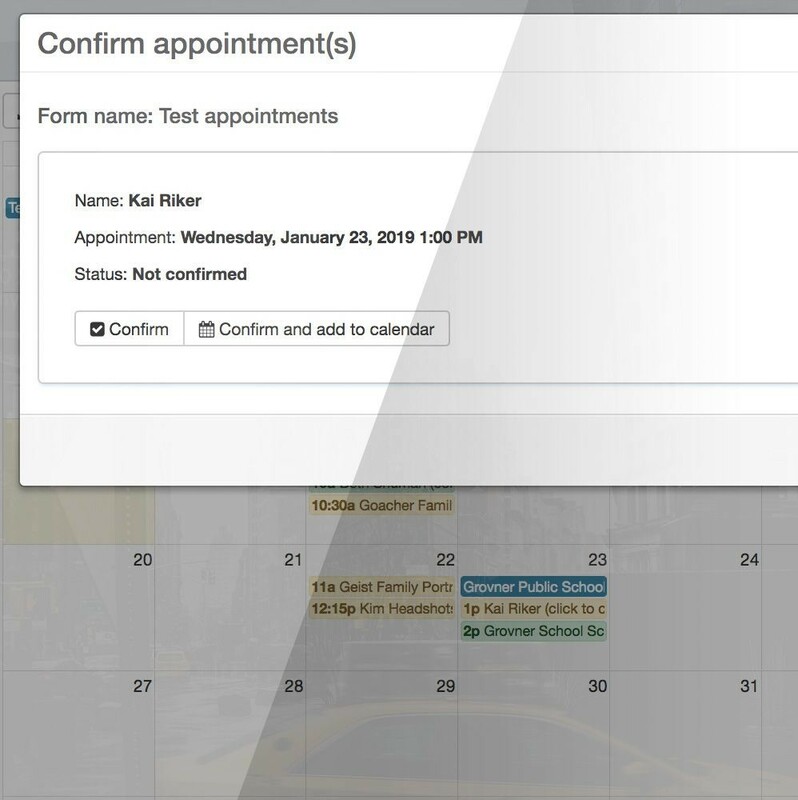 Appointments can be confirmed automatically or manually. You can sync your appointments with any calendar app as well. 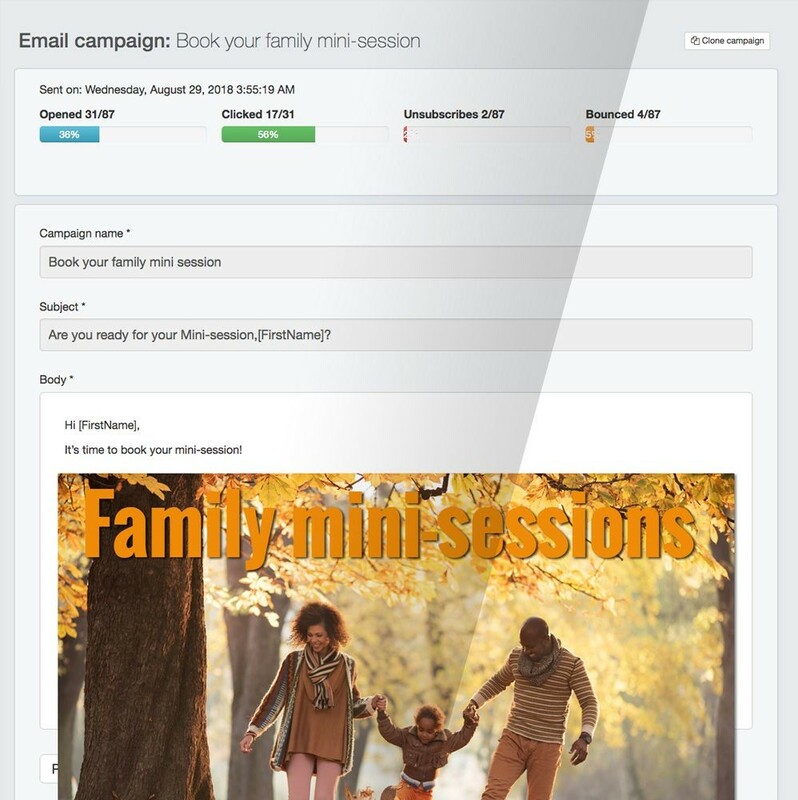 Create timely marketing email campaigns and gage their success with open, click-throughs, unsubscribes and bounces. Link your emails to your registration form and accept deposits or session fees for extra convenience for you and your clients! Set up appointment and event reminders to automaticaly email your customers and see their success rates as well. Understanding your business just got a whole lot simpler. 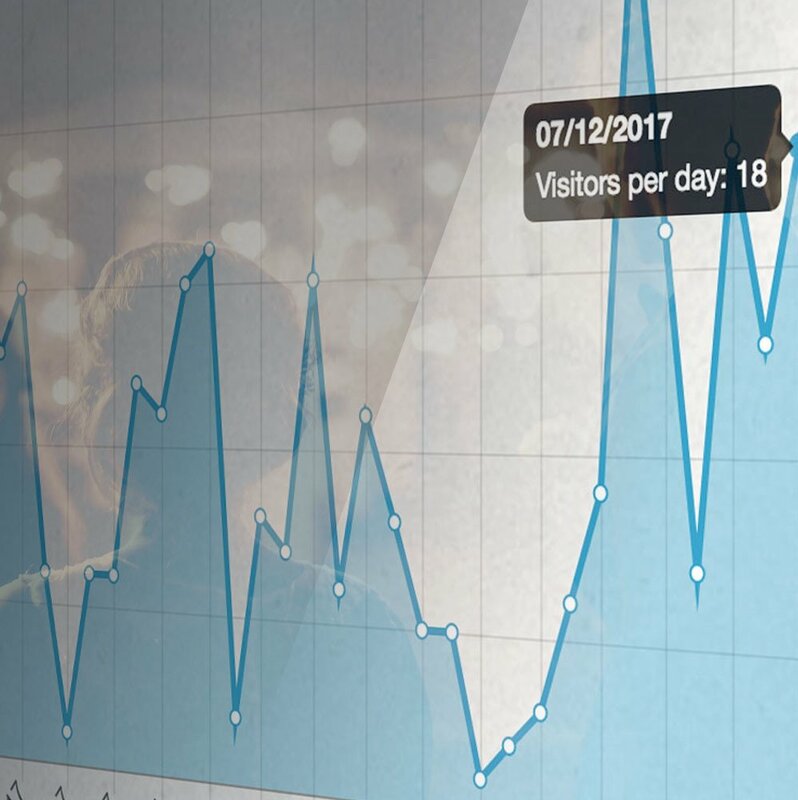 With our detailed reports you will see how your site is used, track your sales and expenses, view who owes you money and much more. EVERYTHING YOU NEED TO RUN YOUR PHOTO BUSINESS IS JUST $5/MO. Take control of your business. Click the button, already! 14 days. All features. No credit card required.